A study or racial bias in law enforcement has been launched by the U.S. Justice Department. Broadening its push to improve police relations with minorities, the Justice Department has enlisted a team of criminal justice researchers to study racial bias in law enforcement in five American cities and recommend strategies to address the problem nationally, Attorney General Eric Holder said Tuesday. The police shooting last month of an unarmed black 18-year-old in Ferguson, Missouri underscored the need for the long-planned initiative, Holder said in an interview with The Associated Press. He said the three-year project could be a "silver lining" if it helps ease racial tensions and "pockets of distrust that show up between law enforcement and the communities that they serve." "What I saw in Ferguson confirmed for me that the need for such an effort was pretty clear," Holder said. The five cities have not yet been selected, but the researchers say they are bringing a holistic approach that combines training of police officers on issues of racial bias, data analysis and interviews with community residents. They will be reviewing police behavior in the cities and relationships between law enforcement and the neighborhoods. The hope is to create a model that could be broadly applied in other cities. Though the project was in the works before Ferguson, the Aug. 9 shooting death of Michael Brown by white police officer Darren Wilson spotlighted longstanding concerns about diversity in policing. 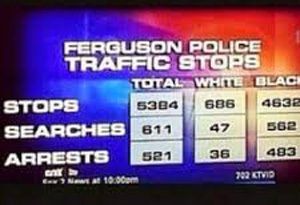 The Ferguson police force is overwhelmingly white even though the suburban St. Louis city is roughly 70 percent black. A 2013 report by the Missouri attorney general's office found that Ferguson police stopped and arrested black drivers nearly twice as often as white motorists, but were less likely to find contraband among the black drivers. Holder, who visited Ferguson last month to meet with Brown's parents, community members and with investigators, said he was struck by the number of complaints he heard about traffic stops and the concerns from minorities about being treated unfairly during encounters with the police. "The reality is that it certainly had a negative impact on people's view of the effectiveness and fairness of the police department," Holder said. The Justice Department this month announced a civil rights investigation into the Ferguson police force. In the past five years, the department has launched about 20 similarly broad probes of police departments that looked at problems including use-of-force and racial bias. Holder has spoken repeatedly of his concerns of the disparate treatment of minorities by some in law enforcement, recently sharing personal anecdotes of a "humiliating" encounter with police. 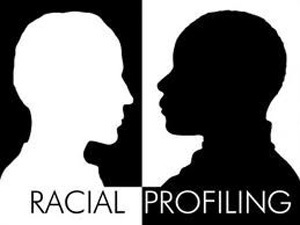 In April, months after the acquittal of George Zimmerman in the shooting death of Trayvon Martin, the department announced that it was soliciting bids for a $4.75 million racial bias project that would collect data on stops, searches and arrests. On Thursday, the department will announce that it will provide grants to a team of researchers from John Jay College of Criminal Justice in New York City, Yale University, UCLA and the Urban Institute. "It represents, I think, an attempt for this administration to partner with researchers who are tired of tragedy being followed by embarrassment," said Phillip Atiba Goff, a researcher and UCLA professor who specializes in racial discrimination and bias. David Kennedy, another team member and director of the Center for Crime Prevention and Control at John Jay, called the project a "historic and tremendously exciting enterprise." In their writings, the researchers have stressed the importance of a forum for minority communities to air grievances about law enforcement. Their work seeks to identify and curb hidden racial biases that can inform a police officer's decision about whom to consider a likely suspect and when to fire a weapon, and they also argue communities are far likely to respect their police departments if they view their authority as legitimate. The researchers have been invited to apply those principles to cities including Chicago, where they developed a program on race and reconciliation that has trained thousands of officers. "Studies show that if people think that they are treated fairly by the police, that matters almost more than what the result is," Holder said. "If you get stopped for a traffic stop and feel that you are treated courteously and fairly, you are much more likely to accept the fact that you got a speeding ticket." Separate from the investigation into the entire Ferguson police force, both the FBI and local authorities are investigating the circumstances of the shooting for potential criminal charges. Holder said the FBI-led investigation into the shooting was moving along with good cooperation from the community. "We would not be well served as a nation to have this drag out," Holder said of the investigation. "I would hope that the local investigation would be done thoroughly, would be done expeditiously in the same way that I'm insisting that this federal probe be done thoroughly and expeditiously." "There's a great deal of anticipation, and I'd say apprehension, on the part of the people in Ferguson, and many people in this nation, about how this is going to be resolved," he added. Follow Eric Tucker on Twitter.